Meow. 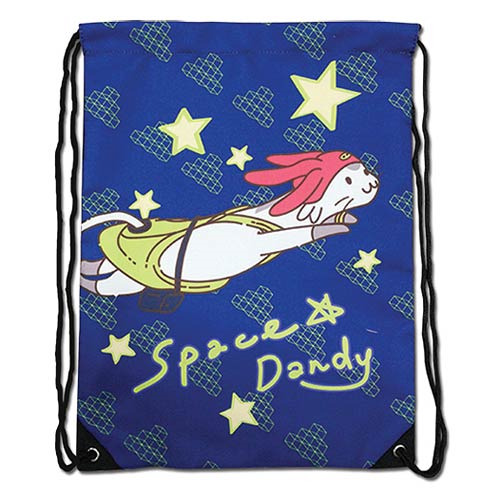 Followers of the Japanese anime series Space Dandy will recognize the alien hunter's trusty cat-like companion portrayed on this fantastic Space Dandy Meow Drawstring Bag. Go, Dandy! Measures approximately 17 1/4-inches x 13-inches. Ages 15 and up.